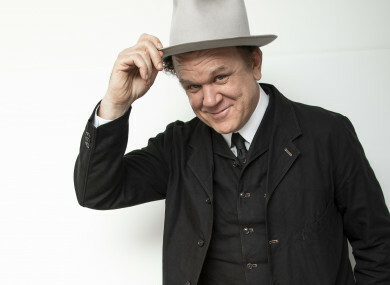 WHEN YOU SIT down to interview actor John C Reilly, you wonder who you’ll get. Will it be the puerile Dale Doback he plays in Step Brothers? The sad, needy policeman Jim Kurring in Magnolia? Or the looks-scary-but-is-a-softie-inside Wreck-it Ralph from his latest Disney animated movie? Reilly isn’t the kind of guy to be typecast – throughout his career he’s played a variety of men. In real life, he’s a combination of the types of men he has played. Funny, a big ham, but thoughtful and outspoken too. He was in Ireland this week to promote his latest film, Ralph Breaks The Internet, where he again voices Wreck-It Ralph, the video game character who looks like a big lug but is a sensitive soul beneath the intimidating look. Born in 1965 on the south side of Chicago to a father of Irish and Scottish descent and a mother with Lithuanian ancestry, Reilly never thought he could become a Hollywood actor. He loved acting, yes, but he never thought that getting to LA would be possible for a kid like him. That was until he saw a friend get cast in a Hollywood film, which encouraged him to get out and audition. His first role was in Brian de Palma’s war movie Casualties of War in 1989. He’s mentioned before that he hopes to get Irish citizenship – but is it a joke, or is he serious? “I am dead serious about it. I would love that to happen,” he says. “So if I can make that happen by doing a junket, that would be a beautiful thing.” Powers that be, take note. In Disney’s Ralph Breaks The Internet we watch as his relationship with Vanellope Schweetz (voiced by Sarah Silverman) undergoes some testing changes when the two venture into the internet. Yes, the film bravely tries to visualise what the internet looks like – and does a very good job of it indeed. Ralph’s dependence on Vanellope stretches the pair to breaking point, as Vanellope tries to go for what her heart desires in life. It’s a familiar tale to adults, and will be an emotional one for the kids who watch it. Animated films are a rite of passage for young children, teaching them about adult concepts. But films like Ralph Breaks The Internet are, when they’re very good, about bringing something for the adults too. This film is particularly interesting because it takes the idea of the Disney princess – a character present in much of Disney’s work, from Snow White to Mulan to Tangled – and gives the princesses themselves a chance to skewer the trope. In one scene, they mock the assumptions about them, most particularly that they needed a man to rescue them. Between this and Vanellope’s career (she’s a racing driver), the film is quite a feminist one. Would Reilly agree? “Yeah. Disney very bravely looks at the history of these stereotypes that they’ve been a part of and they really take it on head on, and I thought that was a very brave and forward thinking thing for them to do,” he says of the princess scene in particular. “Look, what is feminism at this point?” he adds. “Women’s rights are just human rights, what we’re talking about is equality, we’re not talking about some special thing that needs to be done just for women, we’re talking about equality and rights for everyone. So I think that in the world we live in, that’s the only way forward. And I personally think that a lot of the dysfunction in the world is caused by gender disparity and the subjugation of women. So I think the major religions of the world would do well to note that idea that the world won’t be a real balanced place until men and women are balanced in the way we treat each other. Asked if he’s always been a feminist, Reilly says he’s “always felt this way but these days more than ever”. In the wake of #MeToo, has he seen things change in Hollywood? “I think everyone in the whole world has seen a change happen, certainly a sensitivity towards certain subjects and an awareness of the experience of women especially in the professional world from all different professions,” is his answer. He can’t say he’s seen a massive change – he hasn’t been on set since #MeToo broke – but says that he hopes to be able to report back that things are a bit different. Related to this, Reilly has explored many different sides to masculinity throughout his career. Tough, smart, strong, weak, romantic. In his forthcoming films he is set to play a gunslinging cowboy in the film version of Patrick DeWitt’s novel The Sisters Brothers, and funnyman Oliver Hardy in Stan & Ollie (in which Steve Coogan plays Stan Laurel). Is he drawn to roles that explore a side to masculinity he hasn’t seen before? “I’m drawn to things that are honest about life, that reflect life in the way I see it. And so that’s why I’m often the funny person in the serious story or I have serious moments even as a funny character,” he says. “To me, that’s life. Life is complicated like that and like you say it’s less black and white than grey most of the time. I’m drawn to portraying people that reflect the world in the way that I see the world, but that said I don’t have some political agenda behind the roles that I choose. I’m really choosing people who seem exciting or challenging to play, or interesting. And I’m also in addition to that looking to work with people that are inspired and creative and collaborative, and half of the time that’s the reason that I decide to do something, based on the people involved. He’s consistently chosen interesting projects, going from movies to stage to animation to TV. But when it came to voicing a Disney character, and becoming part of the huge Disney company, he had his reservations. It might be a surprise to hear this, given that the assumption would be that a company like Disney would be able to wield a lot of power in such a situation. Instead, says Reilly, it gave him the freedom to work the way he works best. “[Making these films] it’s me and about four other people in a room and that’s it,” he says, describing how they are just “five people in a darkened room trying to make each other laugh”, exploring ideas and improvising (improv is where Reilly truly shines, being a natural and whip smart comic). “All of my fears were not justified as it turned out,” he says, acknowledging that behind his work is about 500 people across the world creating the animation. He was particularly impressed to discover, for example, that at different stages Disney animated films are shown to large groups of staff in order to get feedback. It’s a collaborative atmosphere he believes encourages original ideas. A feminist who believes in getting the best out of people – in the era of #MeToo, an actor like John C Reilly is a gem indeed. Ralph Breaks the Internet hits Irish cinemas on 30 November. Email “John C Reilly: 'Irish citizenship? I am dead serious - I would love that to happen'”. Feedback on “John C Reilly: 'Irish citizenship? I am dead serious - I would love that to happen'”.